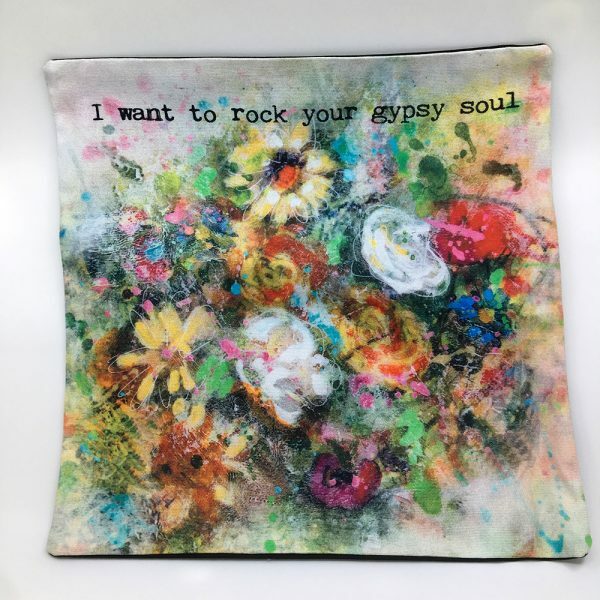 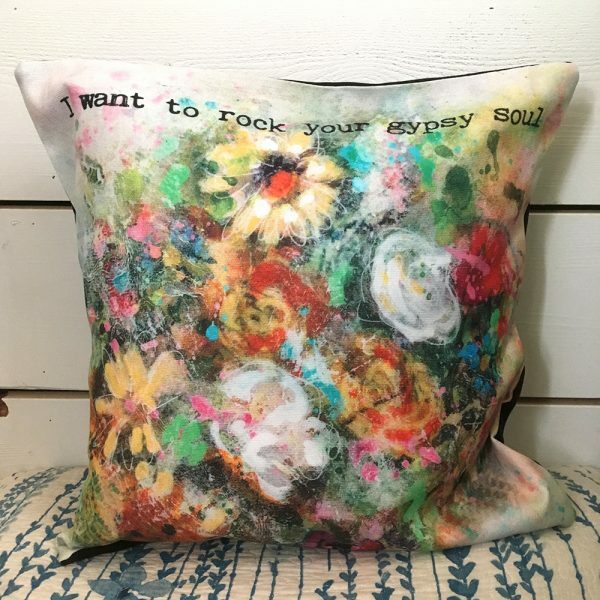 Floral art pillow cover bursting with blooms and sure to rock your gypsy soul. 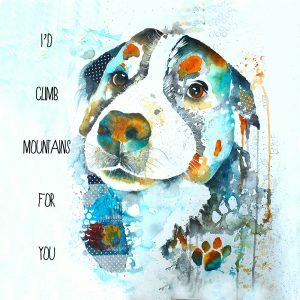 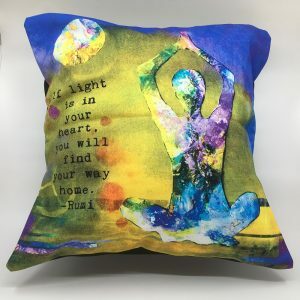 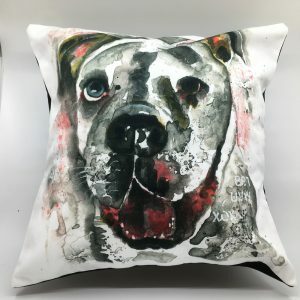 This burst of blooms floral art pillow cover features original mixed media art with an inspirational quote, printed onto a soft 100% cotton 17 x 17″ pillow cover great for your floral decor. 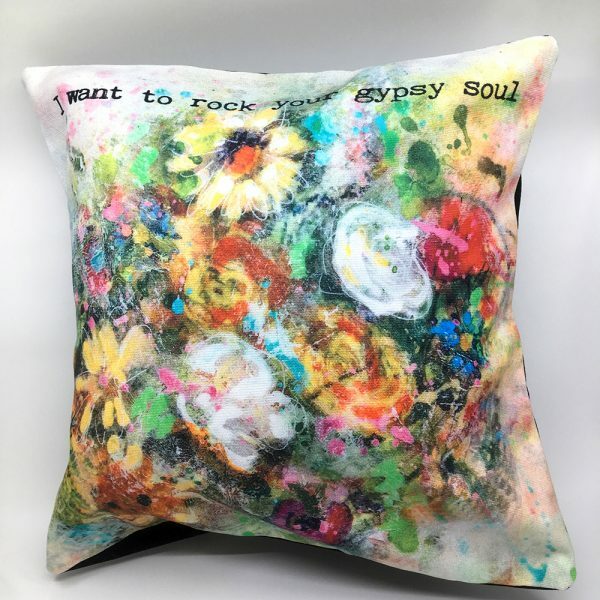 With splashes of spring colours , the fabric is pre-washed, then printed using eco friendly water-based reactive and acid inks that permanently penetrate the fibers making them fade resistant. 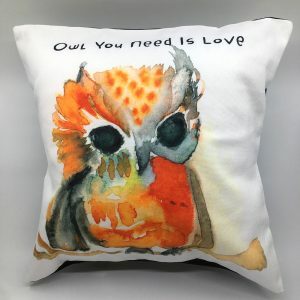 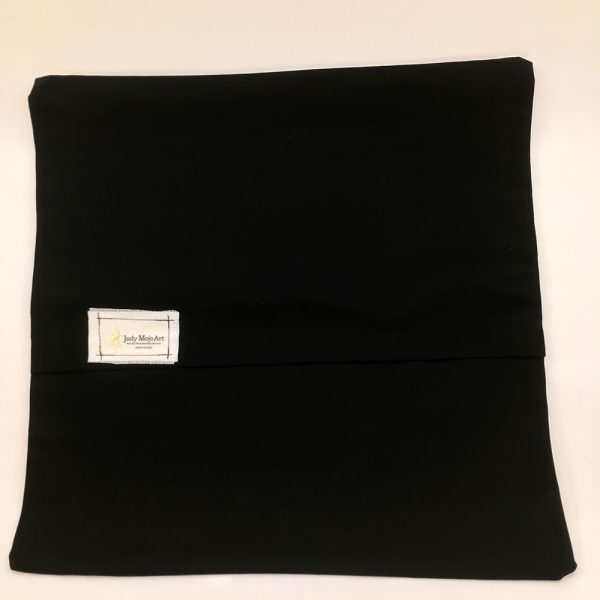 Pillow cover is handmade and has an envelope opening allowing for easy cleaning. Pillow backing is either black or navy.